We have a few rules in the gym concerning different matters that we hold in very high regard. These rules aim to help members show great respect for one another as I believe we must always strive to show that respect no matter what abilities one has. 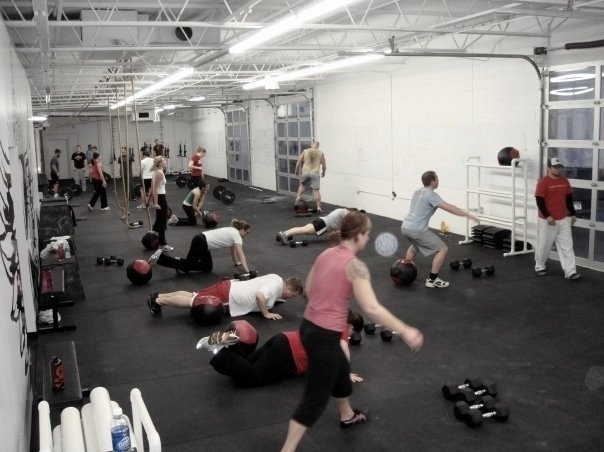 For example, more about one of the biggest rules that we push and punish with burpees is that no member is allowed to clean up their equipment while another member is still working out. If you finish before others, hospital you are expected to gravitate towards that member or members and cheer/motivate your heart out. I think this is a legitimate rule to have in any gym of our nature as it promotes camaraderie and community. It inspires those that are still learning the ropes and happen to finish close to last more often than they’d like. But it also inspires those that are fortunate to finish at the top because they tend to take their abilities for granted from time to time and watching someone else struggle to the end can really push their game to another level. You see where I’m going with this right? I believe there are many CrossFit gyms that have similar rules such as the one I’ve just mentioned. I think you would agree with me that this is a pretty good rule to have. It has worked really well for us. But what about other rules? One in particular that we have was met with mixed reviews in the beginning. It dealt with class tardiness. This rule is also enforced with burpees but a lot less than the first rule, side effects 50 compared to ten. What do you think about this rule? Some of our members became agitated at first as it made them feel like children being late for school. Some also expressed concern that they shouldn’t be punished for being late as they were paying members of the gym and a fairly steep price at that. A final complaint was that sometimes work was the culprit and could not be helped. We really did, Joe and I, get a lot of backfire for this rule. There were a lot that didn’t mind the rule and actually welcomed it. So why did we implement the tardiness rule? Because, as I mentioned earlier, I feel being punctual is a matter of respect towards coaches and more importantly, the other paying members who do show up on time. Although it may not take away from the warm-up of others it does interrupt a class to some degree. To me, this is not acceptable. At least not with some type of reprimand. Not really to punish but to create and foster a culture of excellence. That is important to me. That is so very important to me.